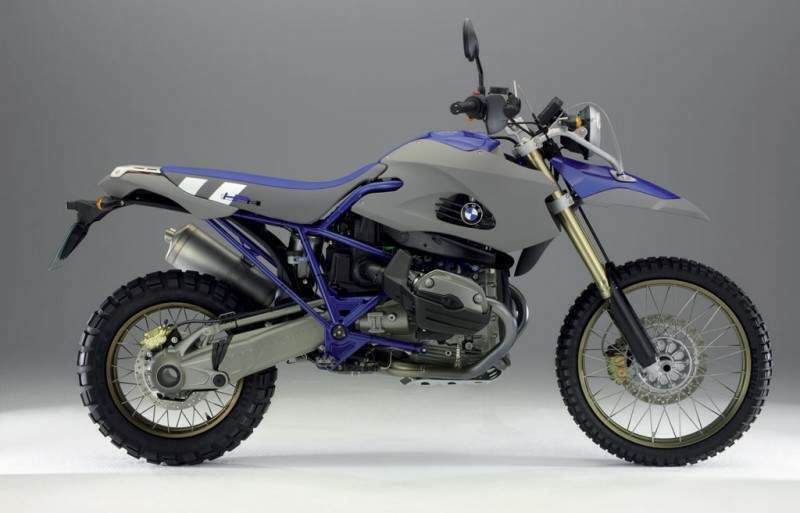 The mind-blowing 105 bhp HP2 Enduro, BMW Motorrad's monster dirt bike, is not for the meek. With a race-ready suspension and a lightweight body (386 lbs dry), this is the enduro bike that makes off-road maniacs rejoice and competitors get out of the way. Twenty-five years of rally racing experience have culminated in this edgy, breathtaking design. Shred away. Or throw street tires on it and have the ultimate super moto bike. 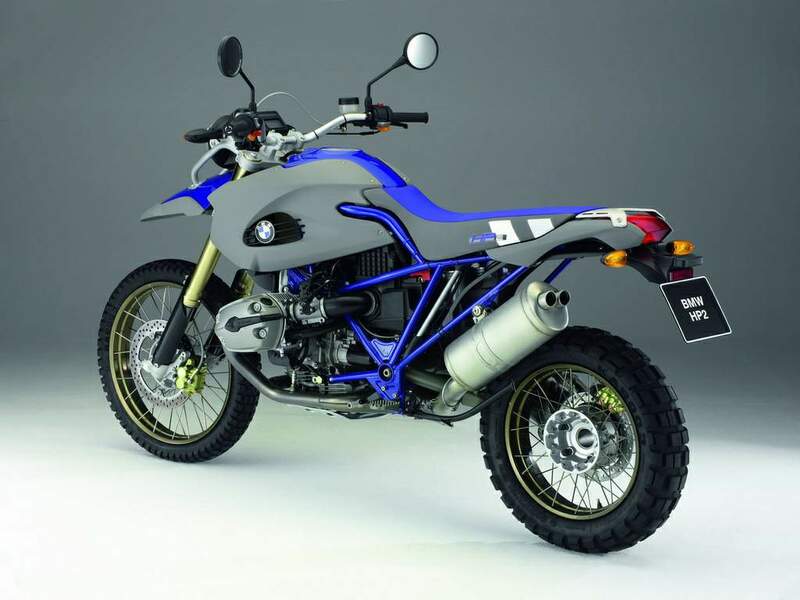 This is what off-road Boxer fans have been waiting for: a genuine BMW motorcycle enduro. Classical, uncompromising and well thought out, right down to the last detail. With the powerful Boxer engine, consistently lightweight construction and perfect ergonomic design, it meets all the requirements for the ultimate off-road performance. The jewel in the crown is the chassis. 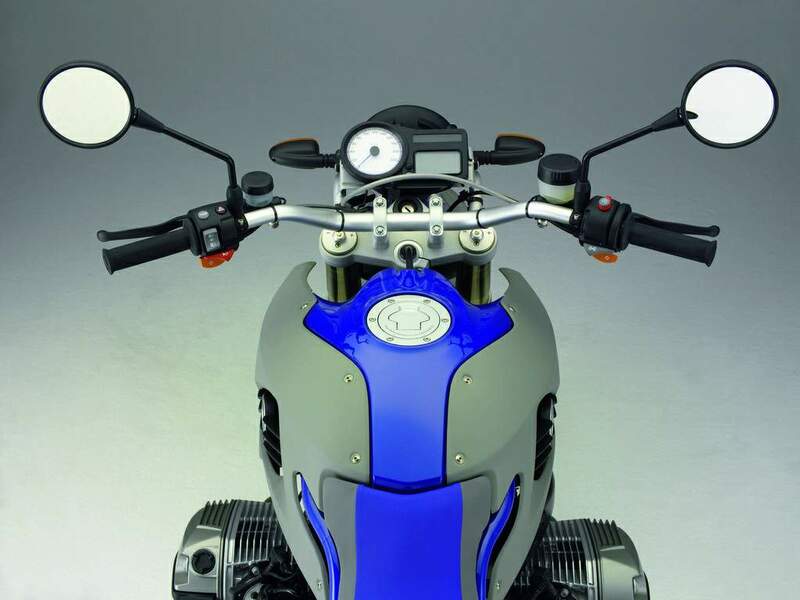 The front has WAD ² upside down fork and the rear - for the first time in mass-produced motorcycle construction - the BMW motorcycle air damping system. Purist, but nevertheless stylish and perfectly equipped with the finest, carefully considered features, the BMW HP2 has everything it takes for unrestricted riding pleasure off the beaten track and is perfect as the “basic” machine for amateur enduro motorsport. More than any other motorcycle, the HP2 capitalises in full on rough terrain on the benefits of the Boxer concept with its low centre of gravity. But at the same time the HP2, with its almost playful handling, low weight, and high-performance power unit, offers supreme riding pleasure also on the road. So considering the many options it offers the rider, the HP2 is the most powerful and by far the best offroad Boxer of all times. This brand-new model from BMW Motorrad was developed by a small but highly dedicated team of specialists, engineers and mechanics fully committed to the Boxer and also dedicated in their private lives to offroad motorsport, working beyond the usual processes of series development under the simple and straightforward motto that “only an enthusiastic professional can offer another enthusiastic professional what he really wants”. 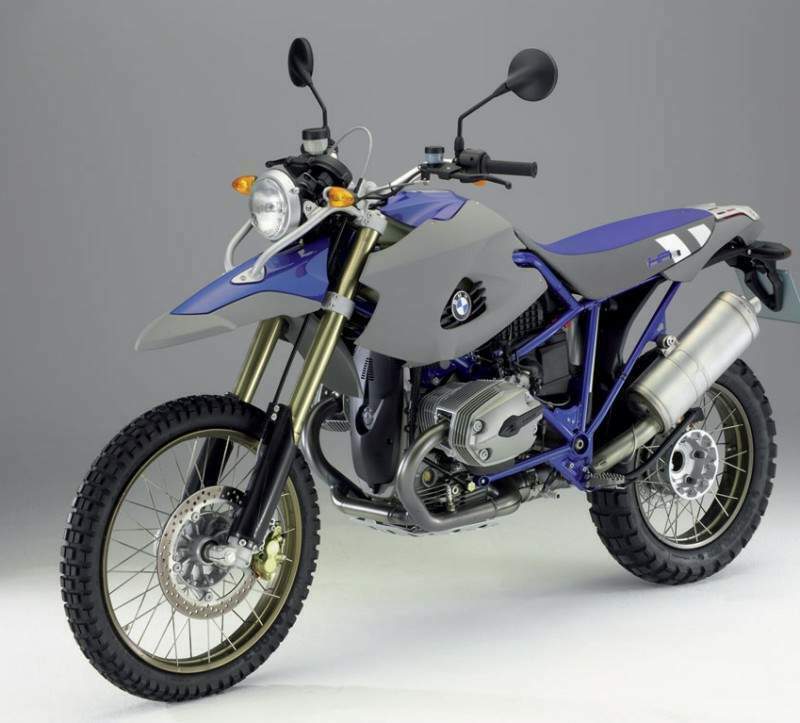 The all-new lightweight suspension is based on ample experience gained by BMW in marathon rallies, with an air/spring/damper system on the rear wheel proudly entering the world of motorcycling as a world-first achievement. The engine itself has been optimised for minimum weight and the entire drivetrain laid out specifically for offroad use. Consistent lightweight engineering was indeed the name of the game with all the components of the new HP2. As a result, overall weight of the motorcycle in road trim remains below the 200-kilo “sound barrier”, with kerb weight according to the DIN standard of 195 kg or 430 lb. Dry weight, in turn, is a mere 175 kilos or 386 lb. In conjunction with the new machine’s perfect ergonomics, this guarantees supreme agility and easy control even on the toughest terrain. And combined with the low centre of gravity of the Boxer engine, unparalleled smoothness and powerful acceleration from the lowest engine speeds, as well as the motorcycle’s excellent balance, the HP2 is in many cases superior to even the toughest single-cylinder competitors on difficult, slow trial tracks. The superior performance and riding stability of an enduro Boxer on fast sections of offroad terrain, in turn, are obviously beyond the slightest doubt. 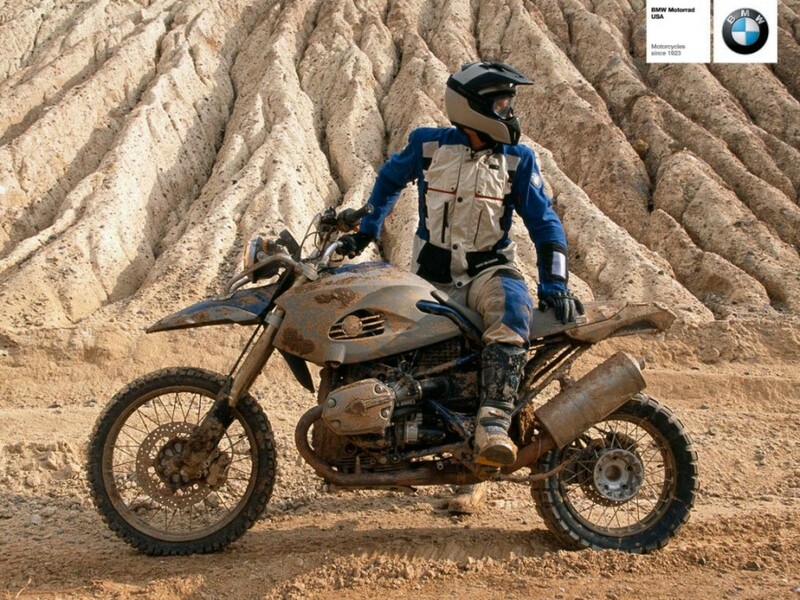 To highlight the sporting enduro qualities of the new HP2, BMW Motorrad supports and manages a private racing team which will be entering the HP2 in various offroad events such as the German Cross Country Championship (GCC). And the rider starring in BMW Motorrad’s team for the GCC will be last year’s winner of precisely this series, Finnish motorcycle crack Simo Kirssi. Outside of Germany, the HP2 will be entering both the Baja 500 and the Baja 1000 in California, and there are plans to participate in the prologue of the Erzberg Race in Austria. BMW Motorrad is supporting private teams in these cases with the right kind of service, and naturally provides the motorcycles themselves. A new brand name and a new model designation: “HP“ is short for “High Performance“ and the “2” in the model designation characterising this sports enduro stands for the flat-twin power unit. The term “high performance” obviously relates to the machine’s sporting performance under all conditions, the outstanding superiority of the entire motorcycle and not just the extra power from the engine. So “high performance” means a perfect balance of all individual components with a view to one complete whole representing much more in practice than the sum of all the motorcycle’s individual factors. This is the synonym for a perfectly developed overall concept offering perfection to the last detail, superior riding characteristics as well as pure, un-daunted riding pleasure. And it goes without saying that “HP” stands for the prestige naturally coming with such a particularly sophisticated and refined motorcycle. The HP2 is the first model in a new, independent category of motorcycles being developed by BMW Motorrad. The focus in all cases is on BMW’s Boxer models, HP motorcycles using the technical foundation of series models but standing out clearly through their uncompromising dedication to a specific purpose, their clear and consistent orientation to sporting performance, and the most exclusive product features. These very special motorcycles are developed by small teams of truly passionate professionals working beyond the usual structures required for a larger production series. Such special team concepts with the very efficient processes ensured in this way guarantees that the many years of experience offered by the development engineers, their feeling for the essential, their personal know-how, and their individual “touch” go straight into the product, without any “filters” or barriers in between. And at the same time these engineers use the most advanced development and simulation tools plus all the technical options offered by BMW as a large company. It is indeed this symbiosis of high technology and craftsmanship which gives BMW Motorrad’s HP motorcycles their unique charm and appeal. In a nutshell, therefore, BMW high-performance motorcycles are something very special – they are exclusive and authentic, and they will remain relatively rare in the market. The prices of these special machines, in turn, result from their outstanding range of features, the much higher level of product substance, and the comparatively small production volume. Exclusive training offers and fascinating offroad tours are being prepared specifically for customers purchasing the HP2, that is enthusiasts with particular riding skills and demands. These additional offers will therefore supplement the new high-performance concept step-by-step in the course of time.